The Endurian Universe is a place where multiple heroes have adventures on multiple worlds. A series spanning four galaxies, these novels offer plenty of action and deal with issues ranging from the cosmic to the deeply personal. A wayward but rational-minded scientist faces mental and physical challenges when he finds himself on a planet dominated by magic, where many of Earth's ancient civilizations are preserved for mysterious reasons. 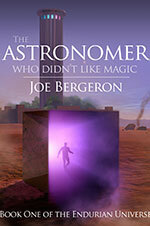 The first of a series set in the Endurian Universe, The Astronomer Who Didn't Like Magic is the story of Leonard Ronar, an astronomer whose notions of reality are threatened on the distant planet Colibdis, where magic reigns, and wizards and sorcerers contest the fate of the universe. 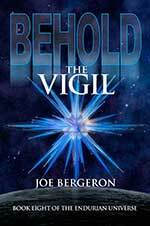 The Vigil is the second novel of Joe Bergeron's tale of the Endurian Universe. Set on an Earth which has become a nexus of unusual events, The Vigil pits a small group of superhuman beings against a mysterious alien force which intends to dominate the human race. A third unruly faction is the chaotic scientist Dr. Possum Perturbare, whose loyalties can never be taken for granted. Will Man's freedom be preserved...and should it be? A dense, thunderous epic, this story is loaded with sturm und drang! This is the third novel set in the Endurian Universe, a series of stories that spans the entire Local Group of Galaxies. This is the fourth part of the saga of the Endurian Universe. 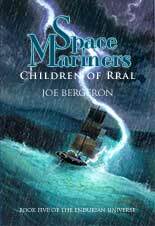 In Book 3, Space Mariners, we saw how the children of Rral free themselves from the constraints of their society and take to the heavens. 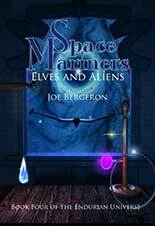 In Book 1, The Astronomer Who Didn't Like Magic, we were introduced to the planet Colibdis, where magic reigns and many cultures from Earth's past are preserved. Now these two stories collide, as the Space Mariners find their way to Colibdis in search of an ancient treasure of their civilization. There they meet Seren-Cotavion, a princess of Faerie, and join her quest to reclaim her throne from usurpers who have denied her right of succession. Their epic journey will not soon be forgotten. 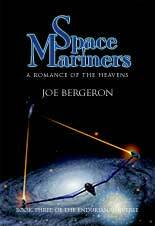 Volume 5 in the Endurian Universe series tells how the Space Mariners first visit Earth, how they flee from it, and how they eventually decide to return to assist the failing human race as the Para-Men. It also tells how Rouse Farewell, a New Zealand mental patient, frees herself from the limitations of the laws of nature and provides an example of a better way. This completes the prequel history of the Space Mariners and leads directly into The Vigil. Professor Leonard Ronar is drawn away from his quiet academic existence on the planet Colibdis by the sorcerer Sha Totek, who asks Ronar to accompany him to a distant land where they will help his daughter Akna battle the rampant Goddess of Suicide. The allure of Akna strains Ronar's ethics and self-respect to the breaking point and beyond, bringing him to a crisis that threatens to shatter him. This is a novella, available only in a digital format. Leonard Ronar. Astronomer. Adventurer. Teacher. Exile. Asterope. Escaped slave. Student. Plaything of the Gods. 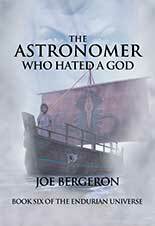 The hero of The Astronomer Who Didn't Like Magic returns to battle the malignant gods of the world of magic. Discover why Ronar has been cast out of Colibdis...and why he is so implacably determined to RETURN. 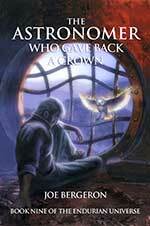 Return of Ronar is the sixth novel of the Endurian Universe, and the second to feature Leonard Ronar. 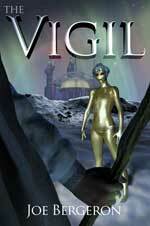 The heroes of the Vigil come under attack by a paranoid government. Scattered and on the run, each member must try to survive, reunite, and decide on a new role to play on a planet where small people wield big hammers to pound down a few very tall nails. Also, why has Valjhar Cor of the Space Mariners returned to Earth? And how will Possum Perturbare fare when he is targeted by the world's nuclear powers? 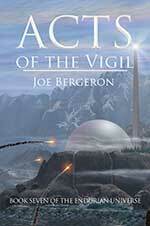 Acts of the Vigil is the seventh novel of the Endurian Universe, and the second to feature the Vigil. The Vigil goes to war against the corrupt rulers of Humanity. Meanwhile, rogue scientist Dr. Possum Perturbare makes a deadly miscalculation which threatens not only the Vigil and the entire human race, but the very existence of the planet Earth as well. Behold the Vigil in its greatest and final battle! Behold the Vigil is the eighth novel of the Endurian Universe, and the third and last to feature the Vigil. He carries the most venerable weapon on the planet Colibdis, the most magical, once the sword of its greatest king. Now it is rotting away. How can Leonard Ronar allow this to happen to the Sword of Bran? Unfortunately, preserving the sword is the least of Ronar's problems in this, the final novel of the Endurian Universe, and the last to feature Leonard Ronar. In this standalone novel, John Avril discovers a new purpose for his life, a new understanding of the world, and a new way of interacting with it. His incredible new abilities, which enable his crusade against the greed and destruction that afflict the planet Earth, make him the target of fearful, greedy, and envious men who wish to bring him down. 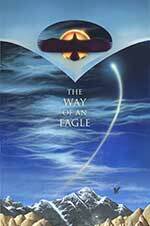 This is the finest environmental superhero novel ever written!